Whether we like to admit it or not, living without paper would be really difficult. We are still very much dependent on paper for a lot of our everyday business needs. Whether we want to jot down a thought, copy a document or print a new one, we need paper all the time. 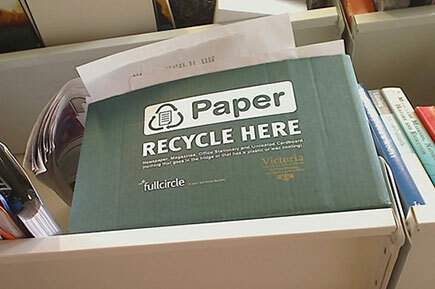 Reusing paper is a central pillar for any office that would like to label itself as environmentally friendly. And while recycling is a great habit which should be encouraged all the time, it is still not sufficient to prevent environmental problems such as deforestation. The numbers for Australia point out to a strong rise in demand for virgin pulp. In 1999, the demand was 12 million cubic meters, while only nine years later this number grew all the way to 19 million. Despite the technological advancements which, in certain businesses, virtually eliminated the need for paper, the demand for paper and paper-based product is increasing all the time. 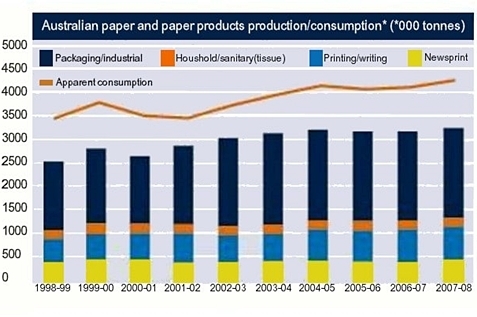 Australia’s influential environmental associations suggest that the best way to decrease the impact your paper needs have on the environment is to use 100% recycled paper. This suggestion makes all the sense in the world, but it is not always easy to act on it. In case your business is still not ready to go recycled all the way, you still have plenty of ways to help preserve the environment. Recycling points, which enable easy disposal of waste paper, are a great way to start. On the other hand, if you are ready to start using recycled paper, the following chart gives you some useful data which might help you find the best brand and supplier. The chart was prepared using information provided by ‘The Wilderness Society’, an environmental group. **OfficeMax is accredited by Greenpeace (Germany), Blue-Angel, Nordic Swan. The good news is that Australians are already pretty good at recycling our household and office waste. Estimates have claimed that 1.6 million tonnes of waste paper is collected each year, with most of this going into making recycled paper products. In fact, it is estimated that less than 10% of the rubbish in Australian landfills are paper products. But, in 2005, it was estimated that just a meagre 11% of waste office paper was being recycled. So, every little extra effort helps, and by keeping 100% recycled post-consumer copy paper in office cabinets, the drain on our forests is lessened considerably. 100% recycled post-consumer waste. Photocopy white & coloured A4, A3. Contact Evolve Office for high volume printing and copying, and Evolve Business for use in colour copiers. PCF (process chlorine free bleaching). Made in France. 100% recycled post-consumer waste. White A4 and A3, recommended for black and white double or single sided photocopiers and printers. Also Vision Magic Colours, 10 tints available. PCF. Made in Germany. 100% recycled post-consumer waste. Photocopy white, A4, A3. Other colours available. PCF. 100% Recycled Copy Paper. 100% recycled post-consumer waste. Photocopy white, A4, A3, A5. Accredited by: Greenpeace (Germany), Blue-Angel, Nordic Swan. 100% post-consumer recycled paper scrap. Available in A1, A3 and A4. Envelopes and paper bags also. Made in Australia. Alsco Continuous Towels are better than the rest because they dry hands faster. This helps prevent contamination by bacteria. 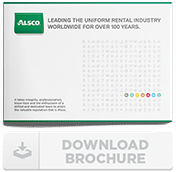 Cloth toweling is by far the most comfortable way of drying hands, which is why Alsco pays special attention to this product line. This small but significant part of Alsco’s fully managed Continuous Towel is the key to protecting our Trees. Grab yours now! Call Alsco.